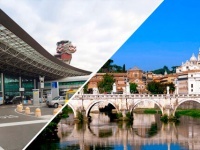 Malpensa is the biggest airport in Milan, it is located in 45 km from the centre of the city. There are two terminals between which shuttles run regularly. You can get from the airport to Milan by taxi, booking transfer beforehand or by public transport. The most comfortable way is trip by cab, you can find the car on the street or call the agency. The cab ranks are situated near the exits of terminals 1 and 2. You can find more information at the special informational post for tourists in the terminal 1. All legal transports have taximeter, but there is fixed price to any place in the city, it’s 90 euro. On the average the trip will take you about 40-50 minutes. You shouldn’t use illegal drivers’ service. Airport Malpensa is connected with Milan by railway connection. 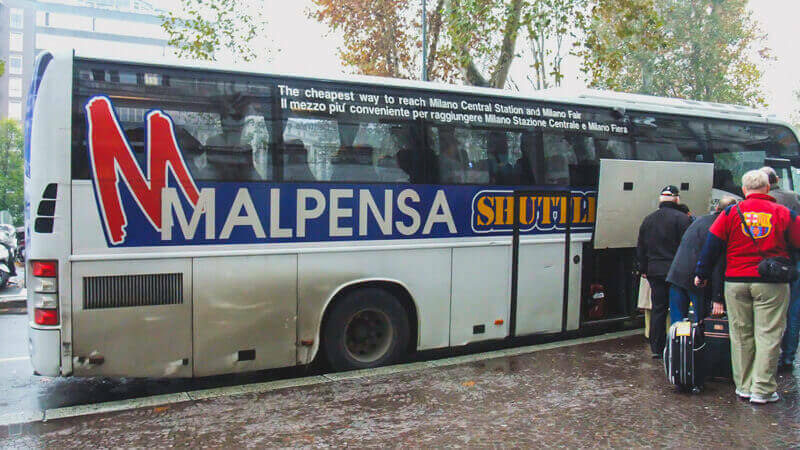 You can get to the centre of the city with comfort and rather quickly by Malpensa Express. The platform is situated on the territory of the terminal 1. You can find it by special arrows there is also booking office. You can also buy ticket in stands with the tablet “Tabacheria”, in special robots or through the Internet. The price for an adult is about 12 euro and for a kid 6 euro. It depends on the place of buying. You should punch your ticket before you will get on the train. Expresses go in few ways: to the central station of Milan Milano Centrale and to the station Cadorna, stopping in few places in different districts of the city. The whole trip to Milano Centrale will take you about 45 minutes, and to the station Cadorna only 30 minutes. 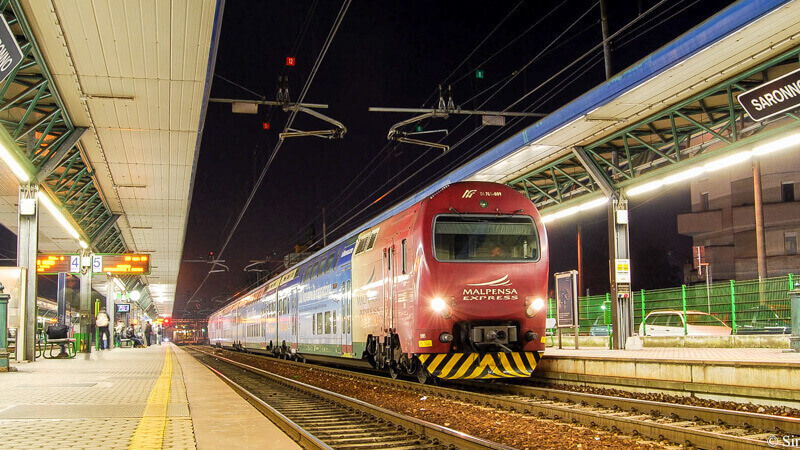 The trains from Malpensa airport to two these places go every day from 5.30 am to 1.30 am every 30 minutes. There is another way with such comfort, but a little cheaper. You can use the bus to get to Milan. The bus stops are situated near the exits from the both terminals of the air station. Shuttles go every day from the early morning to 1 am every 20 minutes. They go to the central station in Milan, stopping in few places in the city. The whole trip without any traffic jams will take you about one hour. You can buy tickets in the booking office in the airport, through the Internet or you can ask ticket collector near the bus (he accepts only cash). They price is the same, the ticket for an adult is about 10 euro, and for a kid to 14 years old is about 5 euro. There are a few companies that can offer you their service, renting a car. 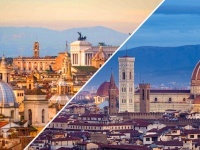 If you rent a car you can get to any hotel or another place of destination in Milan. But the driver should be not younger than 21 years old (sometimes even 25 years old) and with driving experience at least one year. You can book this service beforehand through the Internet and in this case you will cut your expenses to 10%. The price for renting a car begins from 22 euro per day and it depends on the class of transport. They could also request deposit in 500-1000 euro, that they will return later. You can book personal transfer from airport Malpensa to Milan beforehand, in this case the driver will meet tourists in the arrival hall with the tablet. He will help with their luggage and they shouldn’t look through the terminals in searching of transport.